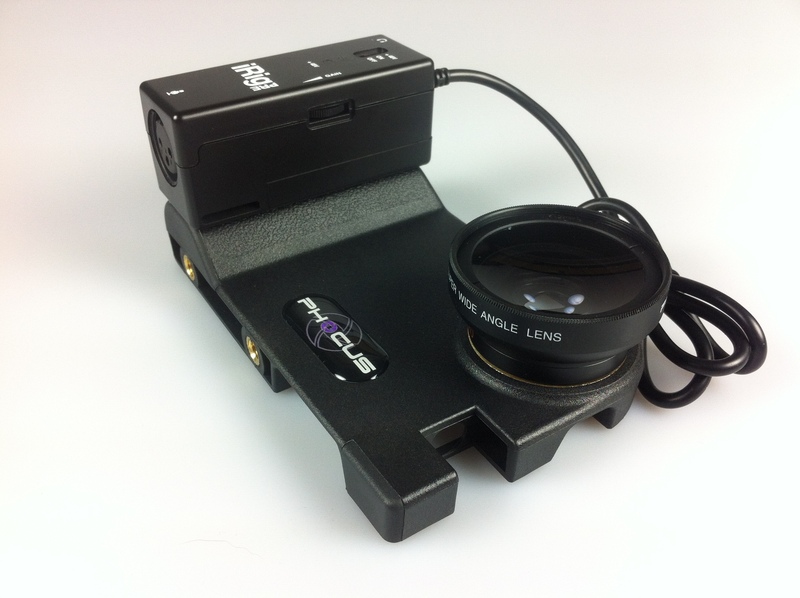 Ive been using the Phocus as an alternative to the OWLE Bubo for a little while and though first impressions were that it felt a “bit plasticy” Im getting used to the lighter body. I was asked what is the best solution for on the spot news gathering..I gave a few examples based on the Fostex Ar4i and then it occurred to me that if Phocus and IK Multimedia were to used some joined up thinking they could form a strategic partnership that might bear fruit…this fruit to be more specific…. I absolutely accept that, in the best tradition of my mashups, this is simply a rather crude photoshop job but I was quite surprised when I compared the two like this. 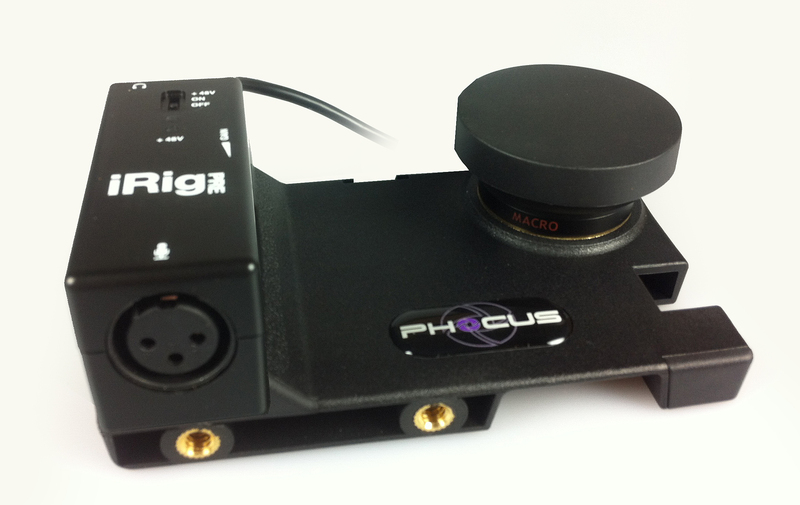 The iRigPRE is almost exactly the same length as the Phocus handgrip which means that it could POTENTIALLY be accommodated in the same place. If Phocus were to make a version with a detachable handgrip and IK were to make say four mounting threads on the PRE we (or they) could produce a single device that would allow any XLR mic to be attached to the iPhone, set level, add Phantom power, monitor and also give a tripod mounting point, and a selection of lenses including a 2x extender. Now thats something that really could make MoJo a hell of a lot easier. If your reading this guys @SmartPhocus @ikmultimedia – I think its a NO BRAINER -Thoughts anyone? Uh, YES! Please! The squeezed space blocking lens addons is the biggest drawback of the Fostex AR4i. Of course, once you put all these accessories onto the phone you quickly approach the place where you should have a DSLR and dedicated field recorder, anyways! Because, the accessories take up so much space and weight. True but if this bit of gear, a half decent mic like say the AKG C417 and a cheap tripod were always in the journalists car they would have the necessary kit to shoot, edit and ftp breaking news to a very high standard as well the possibility of livestreaming the pictures! I completely agree that DSLR kit is in the space too but to achieve all of the above with a Dslr would be quite a bit more expensive.